Travel Tuesday is a weekly column that highlights various aspects of gameday experiences. In honor of Super Bowl week, we have some fun with NFL travel. Best or worst? I don’t know, who wouldn’t want to be powerbombed through a table?? And sometimes the table is even on fire! Hmmm…maybe this should be the worst experience after all? I guess it’s fun for the thousands of people watching and not burning themselves alive though! Every Sunday is Mardi Gras in New Orleans! Bourbon Street is a 10 minute walk from the Superdome and with no open container laws, it makes for an amazing tailgate. Go get your hand grenades, hurricanes, or huge beers at 8 am and start slowly walking down the street towards the stadium. No wonder it’s always so loud. 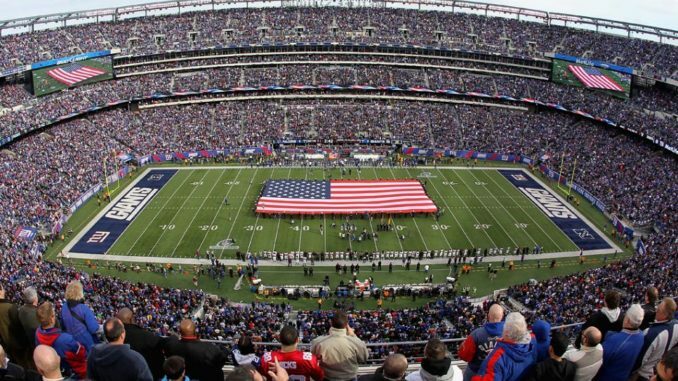 Despite being known as New York’s teams, they actually play ~25 minutes away from New York City, in a swampy area of New Jersey known as East Rutherford, surrounded by absolutely nothing. The only way to get there from the city is via a frustratingly annoying train. And there are simply no bars, no entertainment, no activities in the surrounding areas, like most stadiums have nowadays. 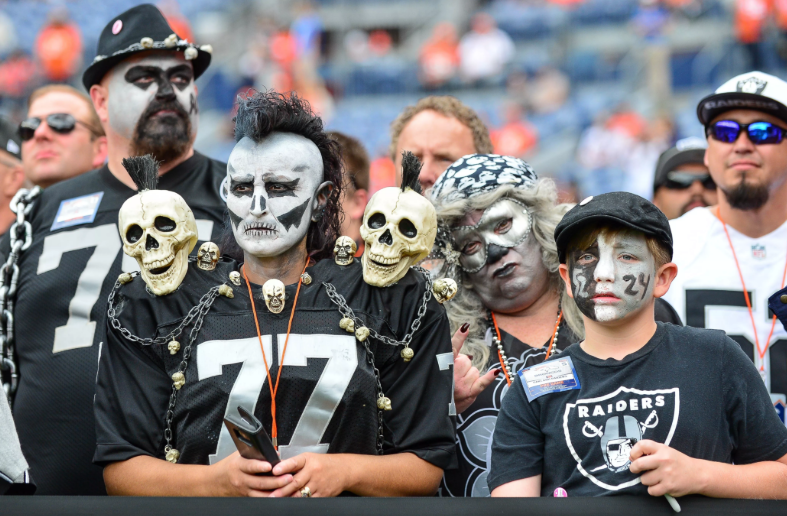 Do you want to sit near this guy at a Raiders game? The Chargers soccer stadium holds 27,000 and it’s typically held 15,000+ fans of the opposing teams. 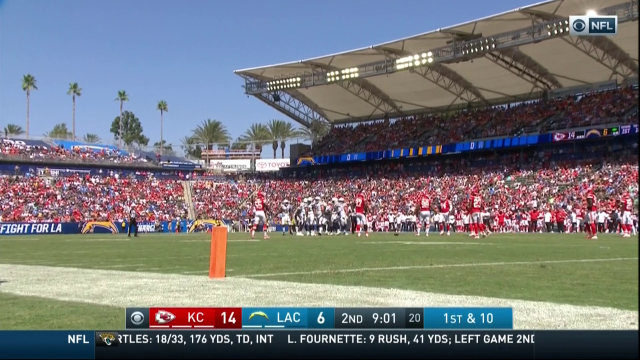 This image is from 2018 week 1 – it’s IN LA at the Chargers stadium, except you don’t see any Chargers fans. Nowadays, everyone is super excited about the new stadiums in Dallas, Atlanta, Minnesota and soon Los Angeles and Las Vegas. But there’s still something to be said about tradition and about old school. 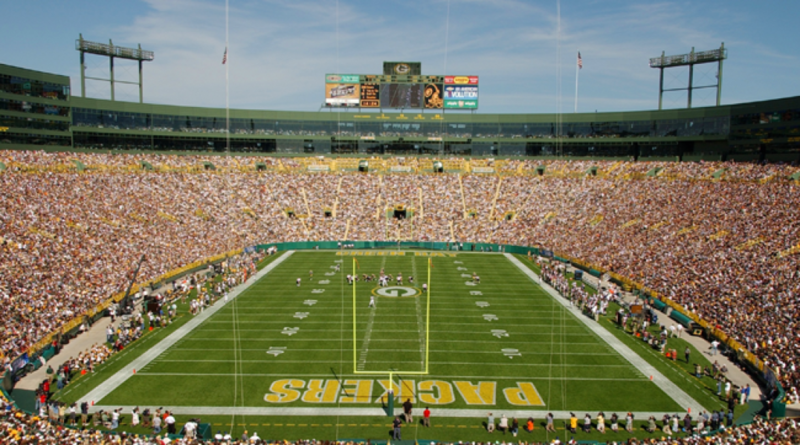 Lambeau Field is as old school as it gets nowadays, with one giant bowl surrounding the field with bleacher seating. 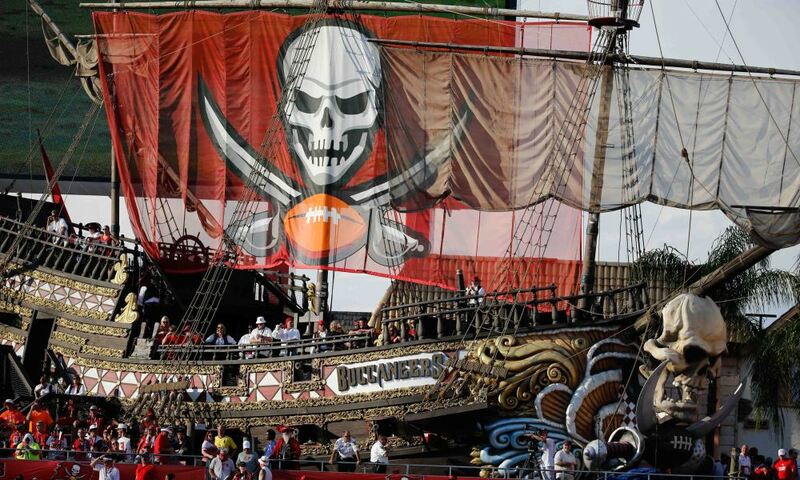 Who wouldn’t pay a fortune to watch a football game from a pirate ship?? What is the best or worst experience you have ever had at an NFL game. Could be a time you traveled to your rivals stadium. Or could be an interaction you had with an opposing fan at the home team stadium. We would love to hear from you and spotlight your experience and story in a future Travel Tuesday column.